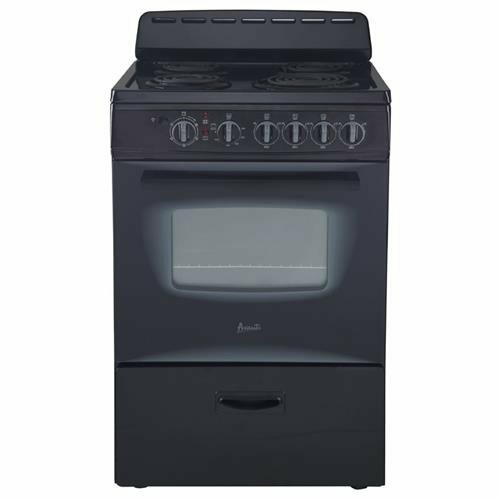 This 24" freestanding electric range is ideally designed to fit in any kitchen interior. 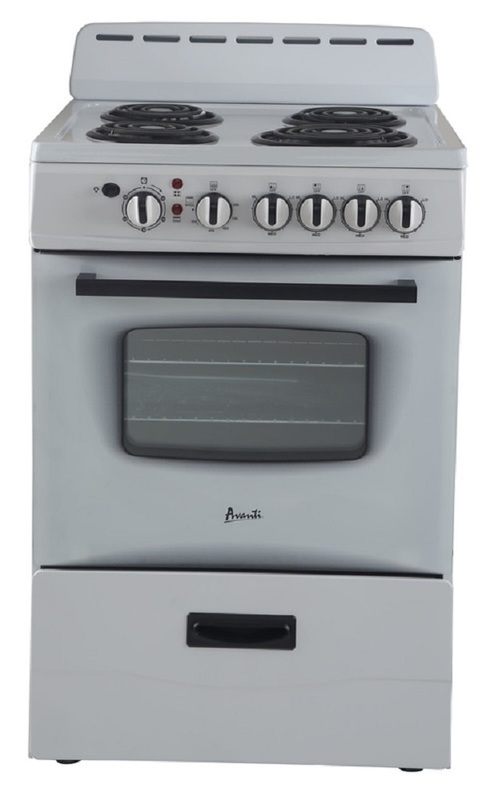 The oven is equipped with a light that illuminates the oven to enable visual control of the food by turning the switch on or off, whereas precise temperature can be reached by rotating the thermostat clockwise. The power indicator light signals when the heat elements are switched "On" or "Off". Oven Thermostat>Power Indicator Light>Bake/ Broil oven with Waist High Broiling>Deluxe See-Thru Glass Oven Door>Backsplash This item cannot ship to APO/FPO addresses. Please accept our apologies. This 24" electric range comes with a backsplash and storage drawer. 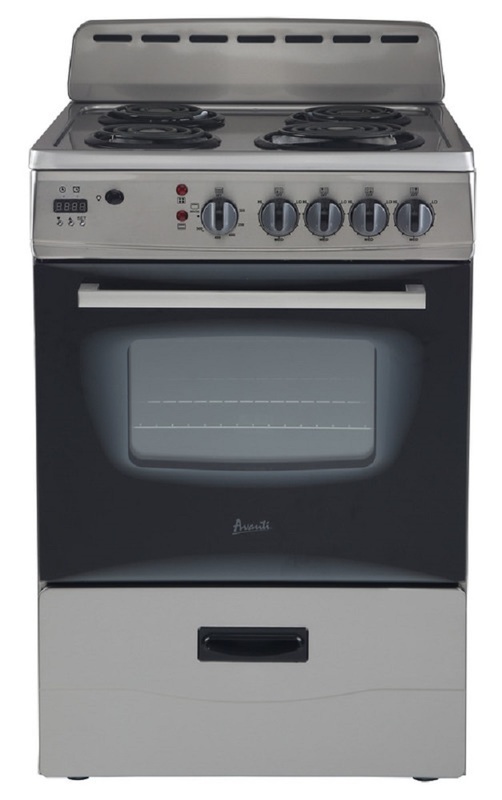 The oven and indicator lights notify you when the surface is hot or the oven is in use. A 60 minute timer on this model lets you time your food for more easy and care-free cooking. Let the timer work for you and notify you when the cook time is finished. A digital clock displays the time for you. Bake/Broil Oven>Deluxe See-Thru Glass Oven Door>Bake/ Broil oven with Waist High Broiling>Three 6" and one 8" coil burners with porcelain reflector bowls.>Backsplash This item cannot ship to APO/FPO addresses. Please accept our apologies. This 24" electric range comes with a backsplash and storage drawer. The oven and indicator lights notify you when the surface is hot or the oven is in use. A 60 minute timer on this model lets you time your food for more easy and care-free cooking. Let the timer work for you and notify you when cook time is finished. Bake/Broil Oven>Deluxe See-Thru Glass Oven Door>Bake/ Broil oven with Waist High Broiling>Three 6" and one 8" coil burners with porcelain reflector bowls.>Backsplash This item cannot ship to APO/FPO addresses. Please accept our apologies.